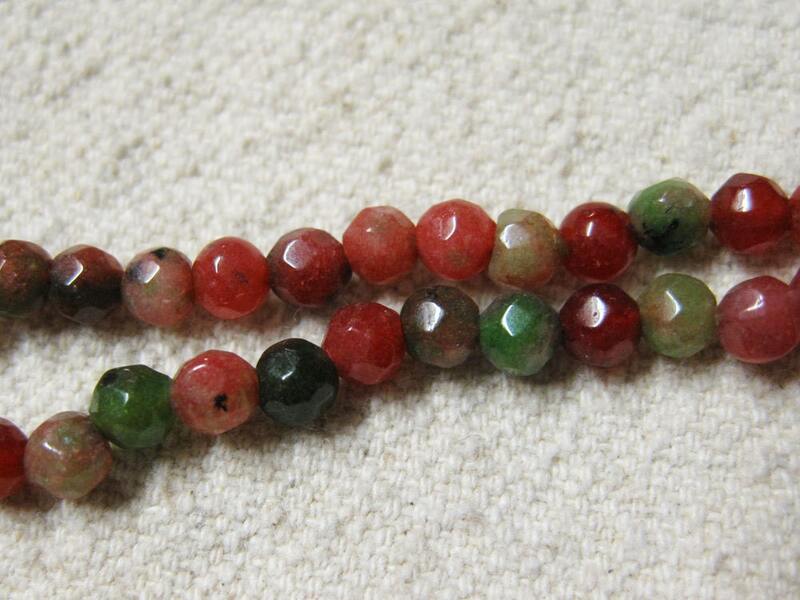 Beautiful shades of red and green in this strand! White jadeite beads are dyed to resemble ruby zoisite. Beads are faceted rounds and measure 4mm. There are about 45 beads per strand. Try using these as a substitute for 4mm crystals in your beadwork! Beautiful stones would make beautiful jewelry! Jadeite's color commonly ranges from white through pale apple green to deep jade green but can also be blue-green (like the recently rediscovered "Olmec Blue" jade), pink, lavender and a multitude of other rare colors.